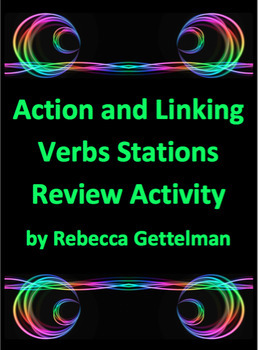 This activity is a great one to use to review action and linking verbs. 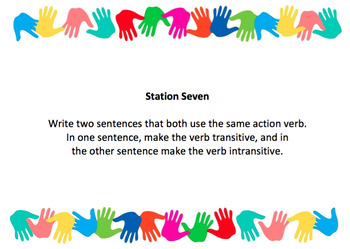 It covers definitions, action and linking verbs, transitive and intransitive verbs, direct and indirect objects, predicate nouns and adjectives, and identification and use of all of the these. 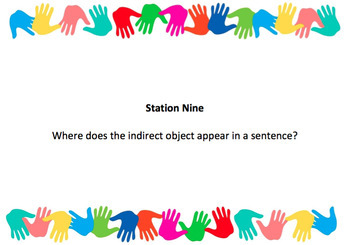 While having students work by themselves or in pairs, students review the unit by visiting stations around your room and answering questions at each. As a bonus, this activity takes almost no prep on your part! Want this product at a discount? Buy it as part of a bundle here! This product will take approximately one standard 45-minute class period, two periods if you use the extension activity. Once you have downloaded, looked over, and/or used this, please leave feedback! Thanks! Like this activity? Check out others like it in the grammar section of my store! 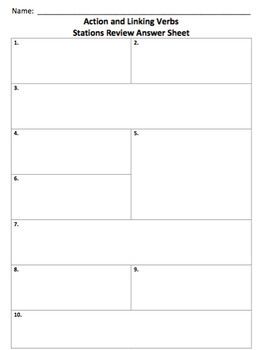 Looking for another great review activity? Try Student-Created Board Games!